Those tips have received a lot of traffic, and for good reason. 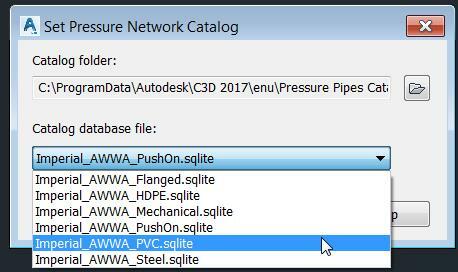 Autodesk has only packaged a ductile iron pressure pipe catalog with their Civil 3D releases in the past, and designers often times use PVC and HDPE piping in their pressure pipe designs. It has been frustrating for many not to have those common material types represented in a parts catalog and readily available. That is, until now. Civil 3D 2017 comes complete with out-of-the-box catalogs for PVC, HDPE and steel. There are 6 catalogs in total in Civil 3D 2017. It also comes with a whole host of fittings and appurtenances. 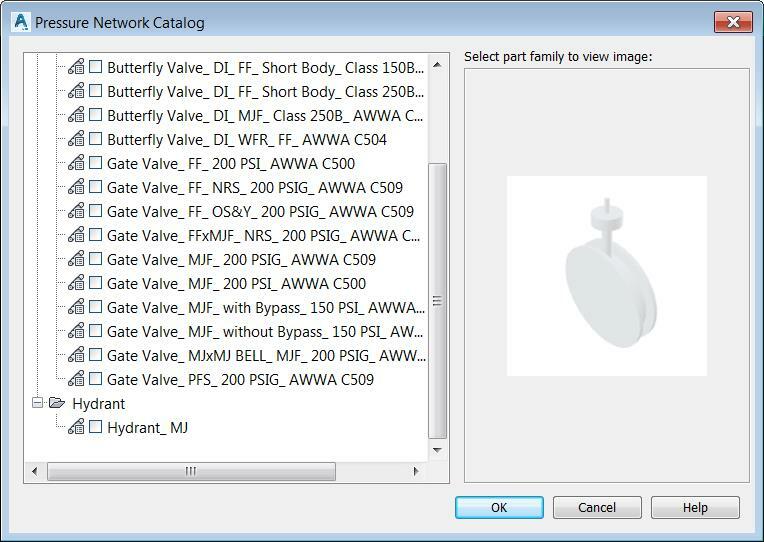 Of course, knowing how to create your own parts and add them to a catalog is still good information to know. However, the time it takes to develop a whole material-specific catalog from scratch simply is not feasible for most people so this is a much anticipated addition. This alone is a great reason to switch to Civil 3D 2017. “Civil 3D 2017 comes complete with out-of-the-box catalogs for PVC, HDPE and steel. There are 6 catalogs in total in Civil 3D 2017. It also comes with a whole host of fittings and appurtenances”. I am having issues with the hydrant appurtenance. I created a parts list with PVC pipe and added the hydrant to the appurtenance. However, when I try to create a pressure network and add the hydrant, a red circle appears instead. Any ideas why this might be happening?